If you know Circuit Motorsports, you know that we really like the Tomei line of products. 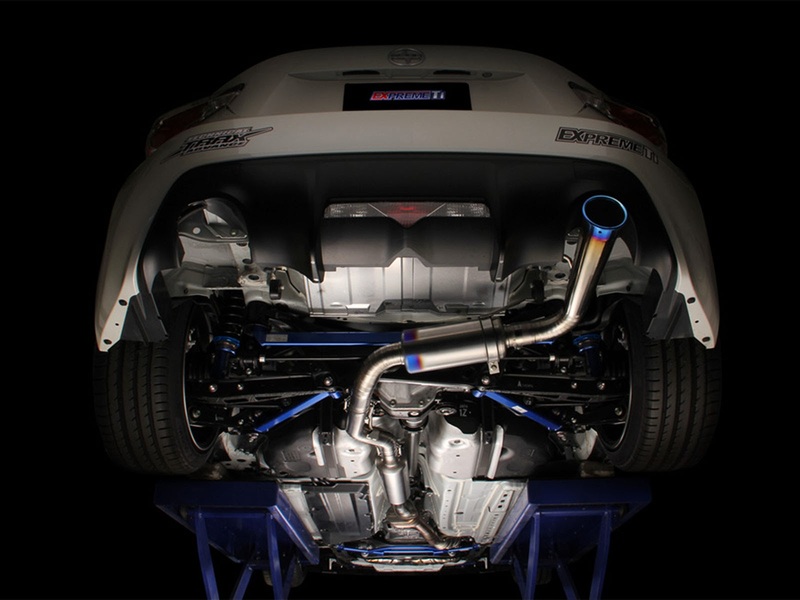 This Tomei Full Titanium catback exhaust - the 60s for the Subaru BRZ and Scion FR-S is no different. The build quality and craftsmanship is top notch, as expected, what we didn't expect is how brutally awesome this exhaust would sound! 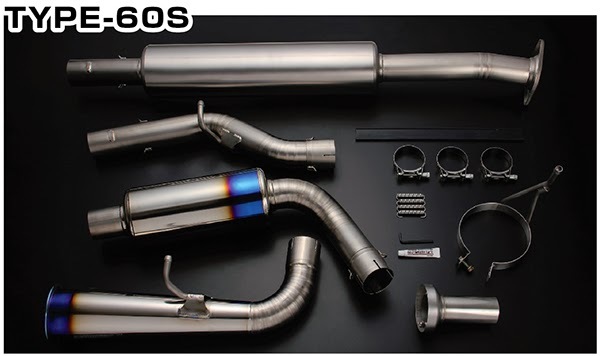 Lets face it, on an N/A car, finding the right balance of sound without getting too loud or tinny can be tough, but this 60s is the perfect exhaust to bring out that High-revving Rally-esque sound from your FA20 motor! Tomei makes 2 catbacks for the "N/A" BRZ and FR-S, the 60r and 60s. The "s" stands for street and includes a muffler to keep it civil for those not wanting to wake the dead every time they scoot down their neighborhood street after midnight. Both catbacks feature full titanium construction with hand crafted welds. Being as this exhaust is titanium, the weight savings on this setup is huge when compared to stock. So not only are you getting a finely crafted exhaust that will flow better and sound better, but you are getting significant weight savings at the same time, win-win-win! The 2013 Subaru BRZ that we tested this Tomei exhaust on has stock headers, Over-pipe and Front-pipe, so only the catback was changed. The sound is really fantastic. You get a very raw, Flat, N/A growl all the way up through the rev range. It harks back to the days of high revving Naturally aspirated rally cars screaming down the twisty canyon roads of Monte Carlo. This BRZ is using a Circuit Motorsports EcuTek tune, with a more aggressive Launch control setup and the Tomei 60s Catback, Check out this sound! Circuit Motorsports is an authorized Tomei Dealer, we have a full service shop in Orlando, FL specializing in Subaru's and The BRZ / FR-S platform. If you need parts, service, EcuTek tuning or a full build, we are here to help make your car the best it can be, so feel free to contact us today!